Broomfield, CO (December 15, 2016) – The Arista Development team is pleased to introduce SPENGA and Denver Restorative Dentistry as tenants at 8181 Arista Place. Located in Broomfield, Colorado, 8181 Arista Place is a 82,614 square foot office/retail facility providing Class A space and is adjacent to 8001 Arista Place. SPENGA (with the formal name, SPENGA. SPIN. STRENGTH. YOGA) is a fitness franchise based in Chicago. Broomfield residents Steve and Kelli Becker are the franchisees for Colorado, and are planning to open multiple locations in the state over the course of the next five years, beginning with their 4,400 square foot space at Arista Place and opening in April of 2017. SPENGA was created to fill a void in the fitness market, and is designed to improve endurance, strength and flexibility in just one hour. SPENGA is a boutique fitness concept providing an unrivaled experience in the industry. Unlike any studio of its kind, SPENGA combines three essential elements of fitness to create what’s simply known as the best workout ever. Each session is structured to include 20 minutes of spin, 20 minutes of strength training and 20 minutes of yoga to improve endurance, strength and flexibility. More information is available at www.spenga.com. “We’re eager to bring SPENGA to our own local communities and into our backyard,” said Steven Becker of SPENGA. Denver Restorative Dentistry is owned by Dr. Taylor Goggins, along with his new business partner Dr. Roxanna Esguerra. The practice, which opened for business in November, is located in a 4,000 square foot space. Along with their professional staff, Dr. Goggins and Dr. Esguerra provide high-quality and personalized prosthodontics to their patients. Dr. Goggins has earned numerous awards and accolades throughout his career, including scholarships, research grants and positions of leadership. Dr. Esguerra has a Master’s Degree from the University of Texas Health Science Center, and has been active in dental education and research throughout her career. “It’s a pleasure to welcome SPENGA and Denver Restorative Dentistry to our tenant roster at 8181 Arista Place, especially as the entire development continues to thrive with new residents and businesses,” said Jordan Wiens, Project Manager at Arista. “Since 2012, Arista has been very active, with more than 1,590 residences completed and the UCH hospital which opened this past summer. We’re looking forward to making many more exciting announcements in the months ahead,” continued Wiens. 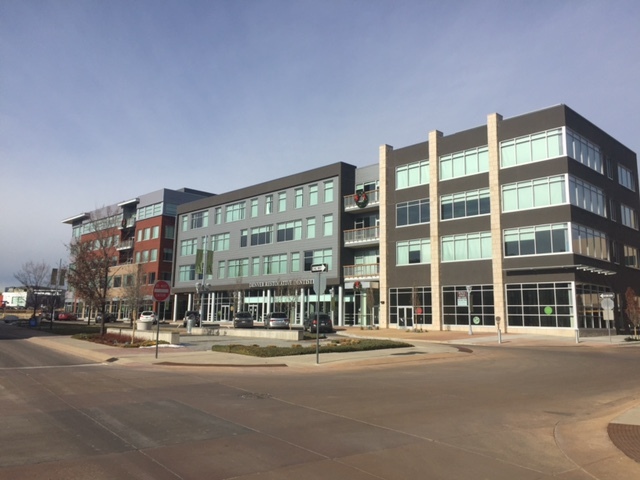 8181 Arista Place is located along Arista’s “main street”, and is looking forward to welcoming a main-floor restaurant and retail tenants with Class A office space above. It provides easy, walkable access to the adjacent RTD transit stop and covered parking in the Parkade. Based on the ongoing success of 8001 and 8181 Arista Place, concept plans are already underway for a third Arista Place office building. In addition to the 1STBANK Center, which hosts concerts and events every year, Arista (which is the only true TOD between Denver and Boulder) is also home to the Aloft Hotel, various restaurants and Retailers, and plentiful residential options. More information regarding Arista is available at www.aristabroomfield.com.